The vänEE story begins in 1980 with Rick Olmstead founding Conservation Energy Systems Inc. However, the origins of the vänEE product really begin with the energy crisis of the e arly 1970’s that created concerns about energy security in North America. Those concerns led to research and development of the first super insulated homes, and an appreciation for the indoor air quality issues that were created when air leakage was reduced dramatically. Traditionally homes were very dry during winter due to excessive air leakage, so humidification was required for comfort and health. Once air-sealed, homes retained moisture and chemical contaminants that were unhealthy for the occupants and the building. The need for controlled ventilation for the health of the occupants and the security of the building was soon identified. The University of Saskatchewan developed plans for an air-to-air heat exc hanger built of plywood and plastic sheeting based on the heat exchanger built for the Regina Conservation House. It soon became the standard product for high performance builders who would build one for each home. However finding suitable fans, ductwork and controls led to inconsistent performance. It was while building super insulated homes in Saskatoon in the late 1970’s that Rick and others recognized the need for a smaller, more effective ventilation system with excellent heat recovery. Dirk vänEE who had extensive experience from his work with the University of Saskatchewan Engineering Department joined with Rick to develop a heat recovery ventilator (HRV) that would be small enough to be easily transported, light enough to be moved into basements and with excellent ventilation and heat recovery performance. 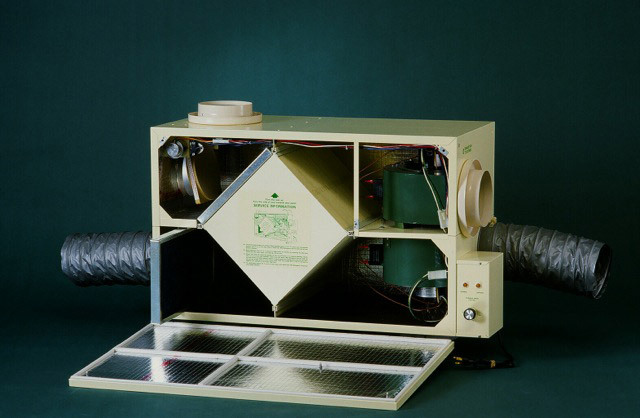 The vänEE R200 was introduced in the summer of 1981 and featured double cross flow heat exchange modules with externally mounted fans and controls. Although basic in design the R200 provided excellent ventilation and heat recovery, the best in the industry. Units were shipped across Canada and into several US states until being replaced by the vänEE R2000 in 1985. The R2000 revolutionized HRV product design in North America with heat recov ery modules, fans, motors, controls and defrost inside a single insulated case. This design format became the standard for all future vänEE products and led the North American ventilation industry to adopt similar designs. The unique defrost system, FrostBuster, provided for the first time, allowed reliable defrost even in the coldest weather while using a minimum amount of energy. For the first time, installers and homeowners had reliable ventilation performance in all weather conditions. Mounting the fans and motors inside the cabinet allowed the heat energy of the motors to be captured by the air streams improving efficiency. Internal air filters cleaned the outside air before entering the home and kept the heat recovery module clean. A hinged, removable door allowed all the components to be easily accessed for maintenance and service. The vänEE R1000 followed soon after with larger units for indoor swimming pools, portable classrooms, small commercial and institutional spaces being developed as markets were identified and proven. The vänEE team recognized that it was not enough to have the best products. Standard methods of performance testing and installation guidelines were required before the building industry would fully embrace the value of heat recovery ventilation. The vänEE team joined with its competitors to develop CSA standards that have become the basis for all performance certification provided by HVI – the Home Ventilating Institute in North America. Fortunately this hard work attracted visionary, hard work people throughout North America who saw the opportunity that was developing and took on the task of market development. Through their efforts the vänEE brand became the leader in North America. The history of the vänEE brand is one of amazing people who shared a vision of creating quality products that provide innovative solutions to indoor air quality problems. With continuous innovation, attention to detail, quality construction in every way and listening to the customers – builders, HVAC contactors and homeowners vänEE has been leading the ventilation industry for more then three decades. 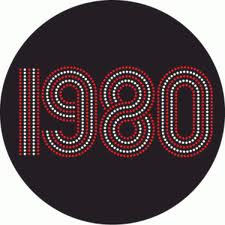 The products created have become legendary for their performance, reliability and long service. Only by understanding the needs of all and integrating those needs into a product experience that works for everyone can we be truly successful.